The birth of a leopard seal on a popular Dunedin beach is the first of its kind on mainland New Zealand in 40 years, the Department of Conservation says. But the celebrations yesterday were bittersweet, as the young pup now faced a fight for survival, Doc biodiversity ranger Jim Fyfe says. The pup was born in the shallows at the Lawyers Head end of St Kilda Beach yesterday. Leopard seal pups were normally born in the Antarctic. The last reported case of a mainland birth was in the Coromandel in 1977. Even more unusual was the fact the birth was witnessed. 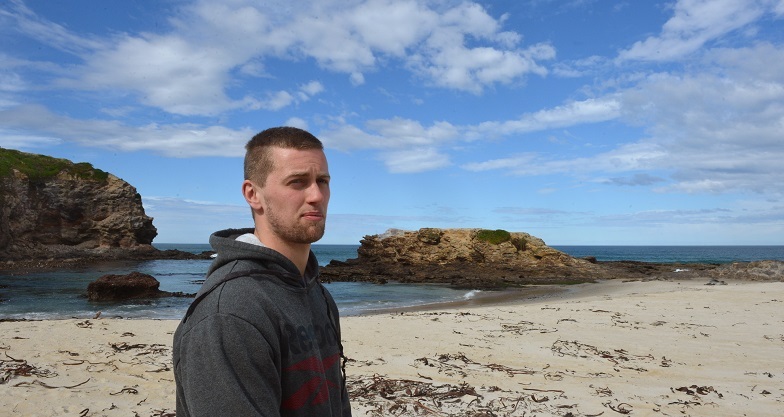 Dunedin man Dalton Williams was running on the beach when ''we realised it was giving birth''. The newborn weighed about as much as a ''sack of potatoes'', he said. Mr Williams made several attempts to place the pup closer to its mother, but she appeared to pay it little attention, he said. ''Because I have picked it up, I feel like I've bonded with it. The experience was likely to be far less positive for the pup, Mr Fyfe said. Females were physically prepared to give birth in the cold of the Antarctic, rather than yesterday's 18degC weather. It was probably the first time the 3m-long mother had given birth and she could end up abandoning the pup, he said. John Wilson Ocean Dr would be closed to cars today and the public were asked to respect a large perimeter around the mother and pup. ''This is a precarious enough situation in its own right. About 16 juvenile and adult leopard seals had been seen on the Otago Coast each year since 2009, Mr Fyfe said. Doc would continue to monitor the beach mother and pup but it was likely things would ''end in tears'' because it was almost impossible to hand-rear the species.